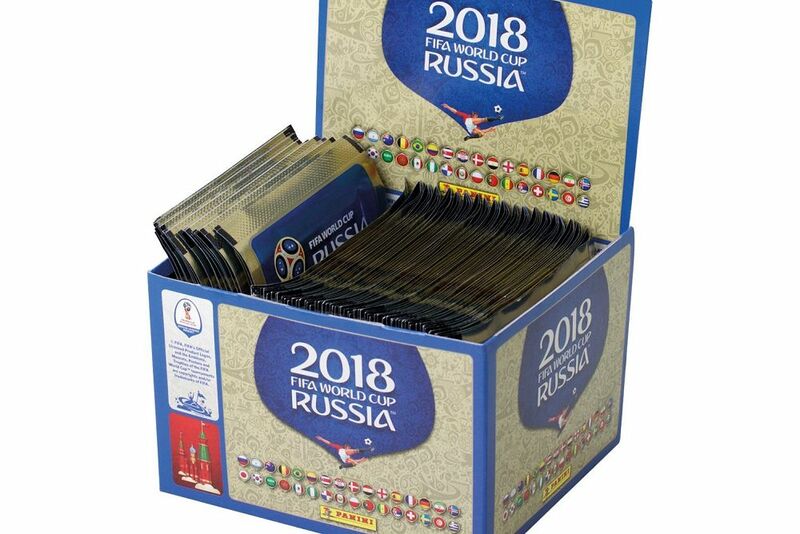 Win 500 Panini FIFA World Cup 2018 and the collector's album. Football Burp is giving you the chance to win 100 Panini FIFA World Cup 2018 Sticker Collection packs. Get ready for the tournament this summer in style with 500 stickers to start your collection with. The winner will be notified by direct message. These terms are applicable for Football Burp’s Panini FIFA World Cup 2018 stickers Twitter competition only. Entry is open to anyone aged 13 years and over, based anywhere in the world, excluding employees of Sinton Media Limited, their close relatives and anyone otherwise connected with the organisation or judging of the competition. To enter, entrants must have: followed Football Burp on Twitter; and used the Twitter service to “retweet” (repeat) the specified message posted by Football Burp during the promotional period. These actions must be shown to have been completed by the closing date for entries. Only one entry will be accepted per person. Multiple entries from the same person will be disqualified. No responsibility can be accepted for entries not received for whatever reason. The competition begins once the initial competition announcement has been made and will end at 23:59 on Thursday June 7th 2018 (“Promotional Period”). The prize draw will take place within 72 hours of the competition closing. Winners will be selected at random from all valid entries and will be notified within 24 hours on Twitter. If a winner does not respond with address within 3 days, Sinton Media Limited has the right to pick another winner from all valid entries. There are no cash alternatives to the prize offered. The prize is not transferable. If, for any reason, the prize is not available, Sinton Media Limited reserves the right to substitute another prize for it, in its sole discretion, of equal or higher value. The winner agrees to the use of his/her Twitter username in any publicity material. No personal information or any other details will be stored by Sinton Media Limited. Sinton Media Limited reserves the right to refuse to accept and/or to remove any entries deemed not to comply with the terms as set out herein. If any element of an entry breaches these terms, Sinton Media Limited has the right to reject the whole entry. Sinton Media Limited and its associated agencies and companies will not be liable for any loss (including, without limitation, indirect, special or consequential loss or loss of profits), expense or damage which is suffered or sustained (whether or not arising from any person’s negligence) in connection with this competition or accepting or using the prize, except for any liability which cannot be excluded by law (including personal injury, death and fraud) in which case that liability is limited to the minimum allowable by law. These terms and conditions are governed by English Law and shall be subject to the exclusive jurisdiction of the English Courts. By entering this competition, an entrant is indicating his/her agreement to be bound by these terms and conditions.